If you care about maintaining your firearms to last a lifetime, then you need to use the best gun oil to keep them well lubricated. The one thing every gun enthusiast can agree on is that gun oil is an essential part of your cleaning kit. Most of us did not pick out our first bottle of gun oil; the person who taught us how to shoot, the salesperson at the gun shop, or our work selected it for us. What if the oil we have been using isn't the best option? Perhaps there are much better quality oils out there that might be even cheaper that what we have been using. With that in mind, I went out and did a ton of research. I put together the best quality and most popular oils for you so that you can decide which one is best. We are going to review the top 10 options next. Whether you are cleaning your Glock, AR-15, or other rifles and pistols, we've got you covered in this list. It's hard to believe, but Hoppe’s has been around since 1903. They have built an excellent reputation for themselves within the gun community. Fun fact, “Hoppe’s” is pronounced “Hop-pees”. Their traditional No. 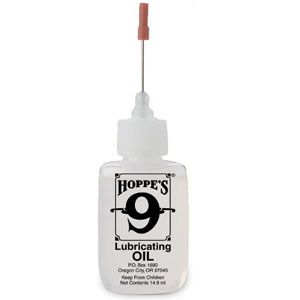 9 lubricating oil is available in a 14.9 mL precision bottle. The applicator needle will help you get the oil only where you want it and nowhere else. Plus, the bottle is refillable too. 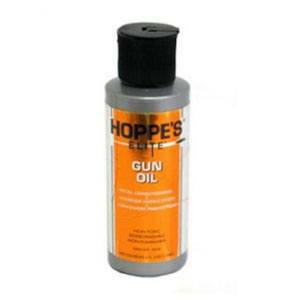 A little bit of Hoppe's gun oil will prevent rust and is safe on metals and wood. 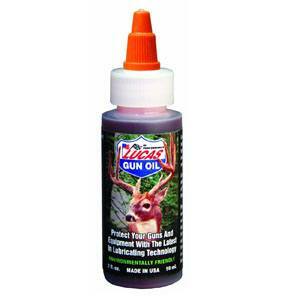 It is hands down the best gun lubricating oil out there. 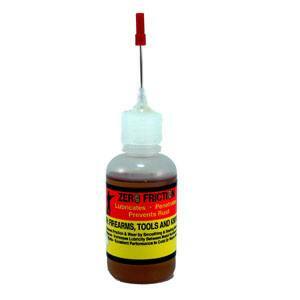 This product is recommended for firearms, however, many report success using it to bring new life to their knives and even using it to oil sewing machines! M-Pro 7 LPX meets the United States Military Standard. This quality synthetic cleaner-lubricant-protectant (CLP) is perfect for when your gun needs a deep cleaning. It repels dirt and dust post-application. The oil is a brownish-green liquid that smells mildly of petroleum and protects firearms from rust for two years if stored properly. It is definitely the best synthetic gun oil​ around. M‑Pro 7 supports our hardworking military and law enforcement officers by giving back through donations, so you can feel good knowing that your money is going towards a worthwhile cause. 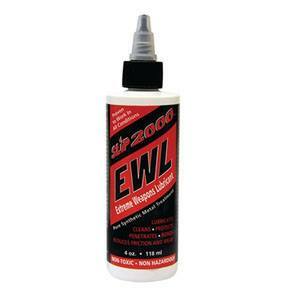 EWL stands for “extreme weapons lubricant,” so if you need to clean a machine gun, this is the one for you! It is environmentally friendly and perfectly safe to use on plastic, which your Glock will appreciate. This all‑weather synthetic is thinner than Slip 2000’s Gun Lube and lasts four to five times longer. This petroleum‑based product does not burn up or attract dust. Due to the product’s low-viscosity, the bottle can be hard to use, so you may want to invest in a precision needle-tip squeeze bottle. You may recognize the name of this high-profile company from the motorsports world. Lucas Oil is the only gun oil on this list, which is advertised by the manufacturer for use on compound bows as well as a household lubricant. It is also the only one you will find being sold in an auto parts store. The translucent-red liquid stains, which can be a problem when carrying concealed if the oil rubs off on your clothes! The cap is reminiscent of Elmer’s glue. This all-weather oil generally gets great reviews and is an excellent value. At the opposite spectrum from Lucas Oil, we go to Sage & Braker Mercantile, a small business located in Denver, Colorado. Uniquely attractive packaging is the first thing you notice about this CLP. It is the only one on our list sold exclusively in a spray pump bottle. Unfortunately, this does not allow for very precise application. Sage and Braker donates 1% of sales to wild land preservation. Users either love or hate the unique scent. Pro-Shot is a family-owned business that has been around since 1982. Pro-Shot Zero Friction is a synthetic amber-colored oil that is sold in one ounce bottles featuring a needle-tip for precise application. This product is also sold in an aerosol spray can as well as gallon jugs (so you can reuse/refill that precision needle-tip bottle). 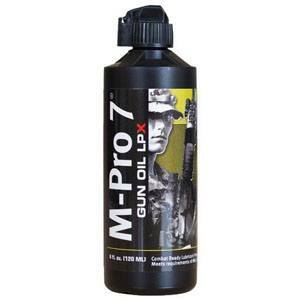 Notably thinner than other gun oils, this product protects your guns and knives from rust. They offer discounts to the US military and law enforcement when purchasing via phone order directly from Pro-Shot. The Rem Oil formula has remained unchanged since 1913. It is very thin. Some reviewers prefer using it only on specific parts of the firearm, opting to use thicker gun oil on other parts. Formulated with Teflon, this oil better protects against wear. Even though this will clean your gun, Rem Oil is primarily a lubricant. Remington has other cleaning-specific products. It is available in one- and two-ounce non-refillable bottles and four- and ten-ounce aerosol cans. 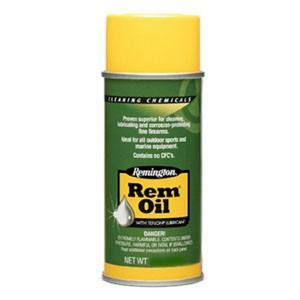 Rem oil is what you will normally found on your local hardware shelf and is typically the best gun cleaning oil​ given its price. However, this product did not protect as well as Hoppe’s No. 9 (original) in an independently performed corrosion test. Clenzoil, founded by US WWII Veteran Dr. Ellis Christian Lenz, produces a petroleum and synthetic CLP. It is the only one on this list that it is safe to use on wood, bone, horn, laminates, and leather. This CLP works great even in extreme temperatures. Users like that it smells good and does not attract dust. A portion of your purchase goes to support Paralyzed Veterans of America, the Black Daggar Military Hunt Club Inc, and the Coastal Conservation Association of Florida. So, your money goes towards worthwhile causes. Hoppe’s No. 9 Synthetic Blend was created to be less corrosive on finishes than the original. Touted as being biodegradable and non-flammable, the color is lighter and the smell is less pungent than the original formula. People have reported using this with success on fishing reels and cross bows. This oil, introduced in 2013, was a great oil but is no longer being made. 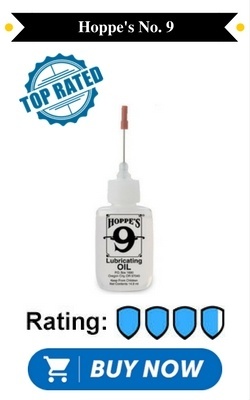 It has been rolled into the Hoppe’s Elite Gun Oil, which is the next one on our list. However, you can still buy it online at places that still have it in stock, so it's still popular. Fortunately, if you are a Hoppe's fan and you prefer a synthetic to the original formula, the Elite version is available. 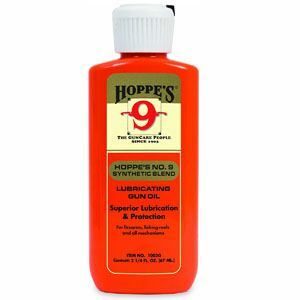 However, an independently performed corrosion test found that Hoppe’s Elite Gun Oil was not as protective as Hoppe’s No. 9 (original formula). It is a crowd favorite for shooters that value their precision firearms and want to pay a little more for a synthetic oil. When it comes to choosing the best gun lube for your firearm, you want to go with the tried and true brands and formulas to ensure the long term care of your guns. 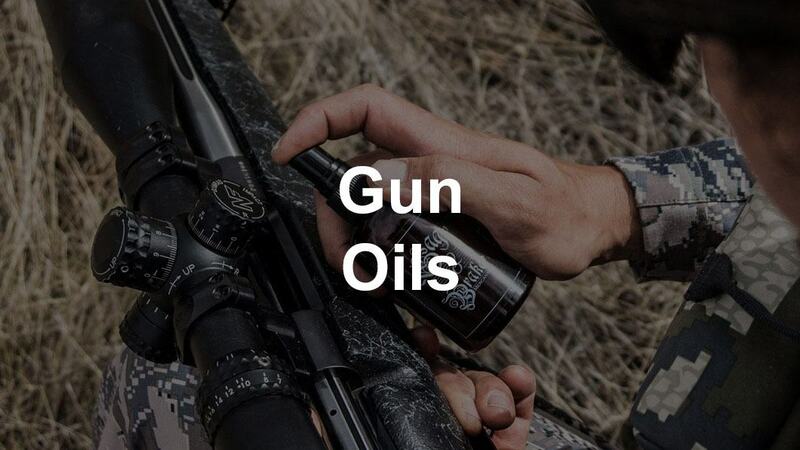 In this article, we reviewed the top 10 gun oil lubes out there based on quality, performance, and popularity. Any of the oils in our list will get the job done and keep your guns in great shape.